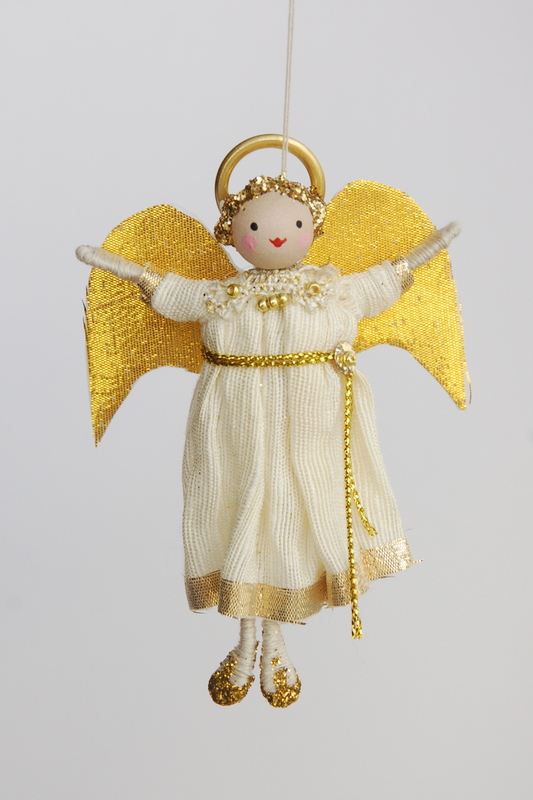 Designed and handmade by Halinka, the Little Angel has a robe made of vintage fabric trimmed with gold. 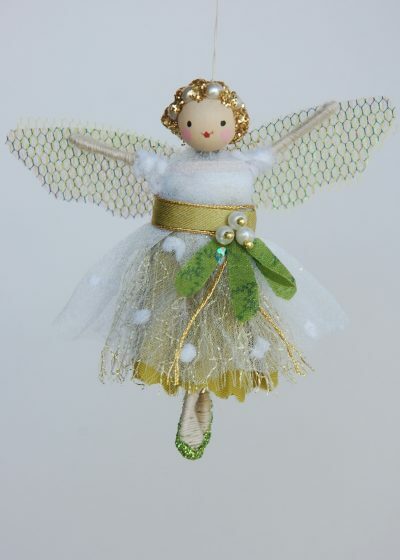 She has a golden waist tie embellished with a sequin, little gold slippers and of course a halo!! She is topped off with a Christmas star! 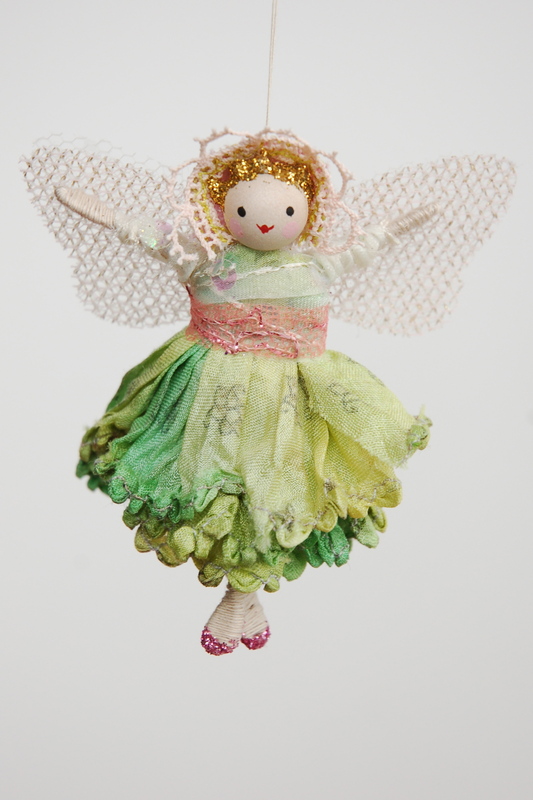 She measures about 8cm tall and arrives in her own little gift box.